Single, perfectly insulated and ventilated housing. Provides power to multiple consumers (PC, printer, terminal, monitor, etc.) from its multi-voltage outputs, from 5 to 24 V DC and/or 230 V AC. Houses batteries and all peripheral material (converters, chargers, etc.). AGM batteries compatible with all types of transport (land, sea and air). Foolproof or dedicated sockets, depending on voltage type. 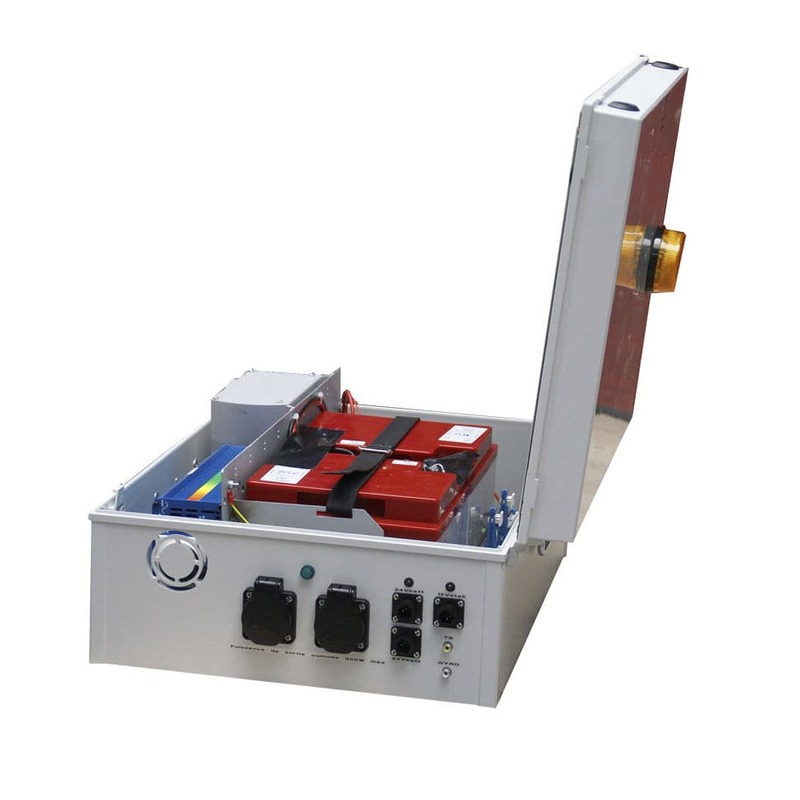 Modular, upgradeable cabinet: plug-in, interchangeable converter boards depending on your requirements. - Electronic safety to prevent the battery from being discharged more than 90%. - The safety is only released when the battery is fully charged. - Very simple battery replacement procedure. - Visual alarm (rotating beacon light) indicating critical levels for autonomy. - Battery charge indicator (two-coloured LED). - Main circuit breaker if the cabinet is not to be used for an extended period. - Main power supply circuit breaker. Energy cabinet supplied with installation guide. 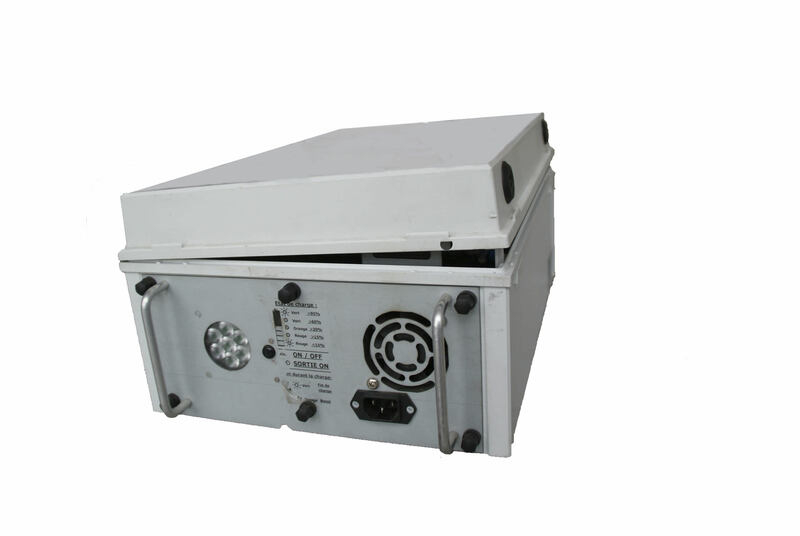 The manufacturer's warranty is two years (parts and labour), applicable to all component parts used in the cabinet, with the exception of the battery pack. The batteries are guaranteed for 300 discharge/recharge cycles.